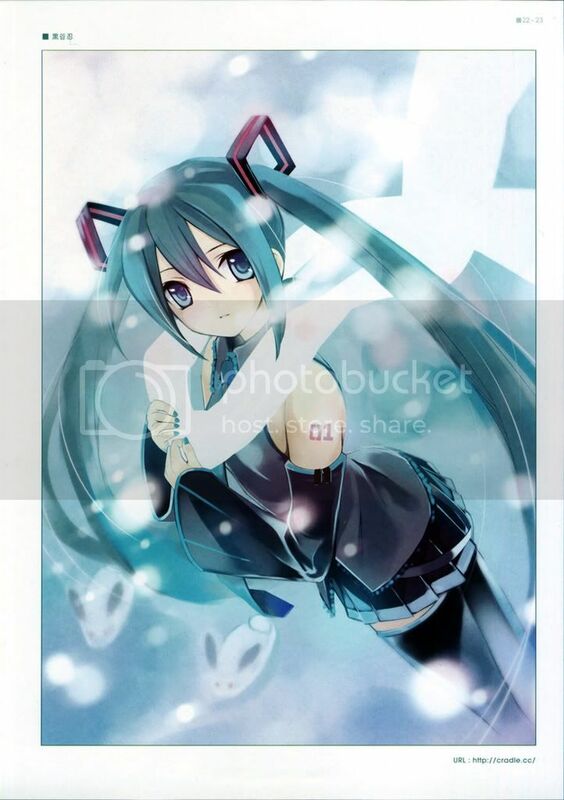 ~Eternal Snow~: Coming Back Real Soon... and Happy Birthday Miku! Wow. It's been like nearly 3 weeks since my last post? Did anyone miss me?? (wishful thinking?). I had never expected my University Life to be so hectic, but I got to admit it's alot of fun too. Cons: Crazy learning speed, matters made worse since I'm direct into 2nd year and have 7 CORE modules (most people would have about 4-5 core and 2-3 electives). I'm currently behind by about 2 lessons/tutorials for each modules, which is alot of cover in whatever remaining time I have left. Pros: Fun hall life, interaction with lots of others (especially girls lol). 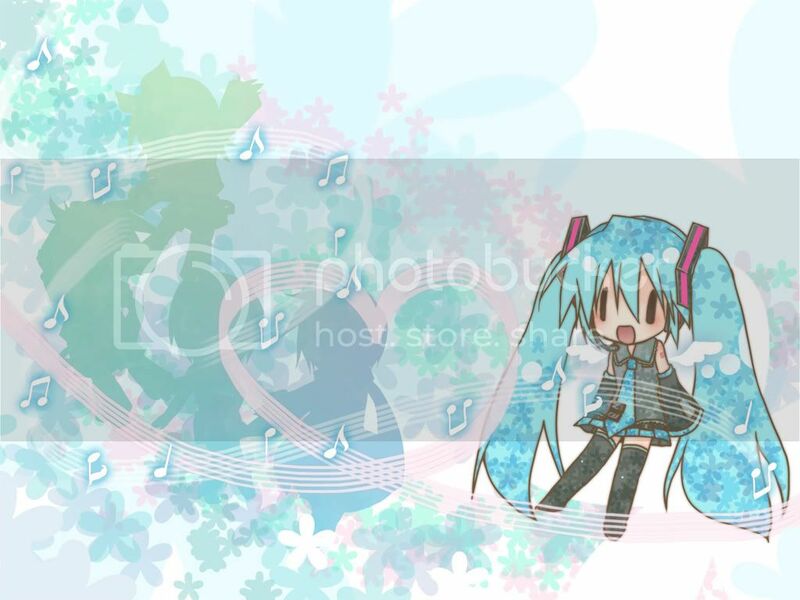 A picture of Miku done by Cradle to start things off. I'm also running for my hall's JCRC (which is the main committee who help get things moving around the hall), for the Publicity and Publication Director role. With this, I'll be getting more exposure to designing stuffs like posters/banners, and also more reason to whip out my camera to take lots of photos. It is mainly due to this that I haven't had the time to blog though, as I had to do our campaign posters, late night discussions, gossip sessions on the latest information through various sources etc. Well, the elections voting day has finally come, which is this coming Thursday, so once this is cleared I should be able to go back to a more regular posting, but at most about twice a week only though, but I guess that should be enough for now till I really settle down and get things running. The "final" version of the cranes (I painted the strings and the metal parts silver after this photo, but too lazy to retake another shot), and yes I added the wind chimes in the end, and it was really tough -.-". Cute dangos no? I also made a card filled with the Dango Daikazoku and a pop-up paper flower, but not posting that up here lol. Doesn't look like it's working out well... until came some crisis among our election group, where suddenly 2 person dropped out. Some talking here and there, it suddenly came out that she'll now be running for the Assistant P&P role, which would be directly under me (and she knows it too). Well, if she doesn't like me, she wouldn't have agreed on it right? And she was quite reluctant to run for any posts in the first place. Well it could be just because of her roomie (7 years good friend) who is also running though. Seriously, I have no idea what to think!! Too confused. I blame this confusion mainly on a friend though, from what he said when I asked if she's trying to keep a distance from me, "2 reason - 1: She's afraid after I gave her those cranes, overwhelmed by it. 2: She's afraid of really falling for me, as she currently has other priorities, and that if she gets into a relationship, it'll affect them." Well, I'm still talking to her normally, but I do find she tends to avoid talking to me more than usual. And I also do know what her other priorities are, and why she'll be afraid of a relationship as there's really a possibility of affecting them. But still, why did she agreed with taking up my assistant position? That really messed up my thinking on what is my current situation now (though I'm happy over it). Or am I just reading into things way too much and I have no chance? 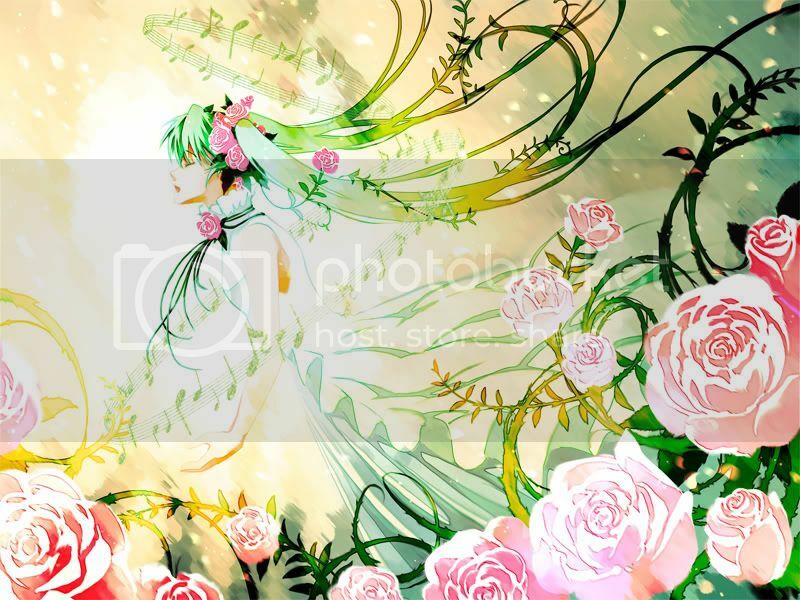 Hatsune Miku - Hachigatsu no Hanayome / August Bride by OSTER Project. 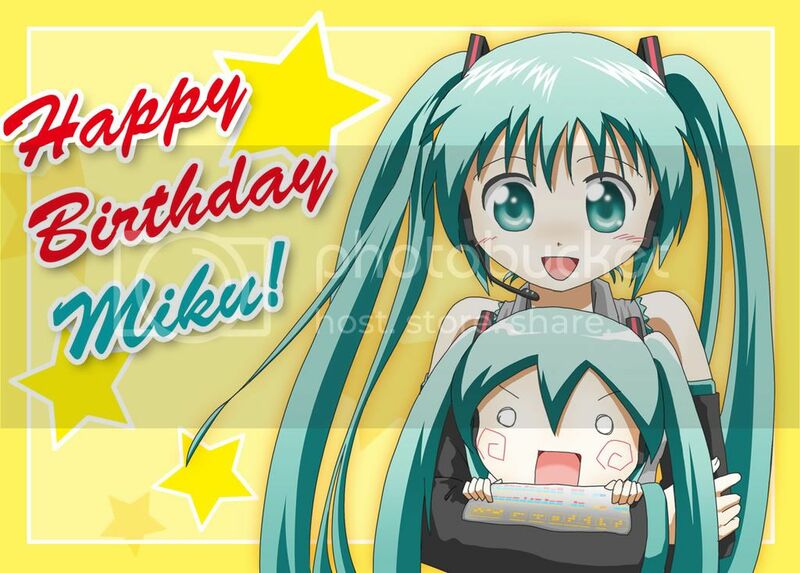 P.S: This also goes out to fellow TeamBlue Blogger C.I, who so happens to share the same birthday as Miku too! Happy Birthday C.I!!!! 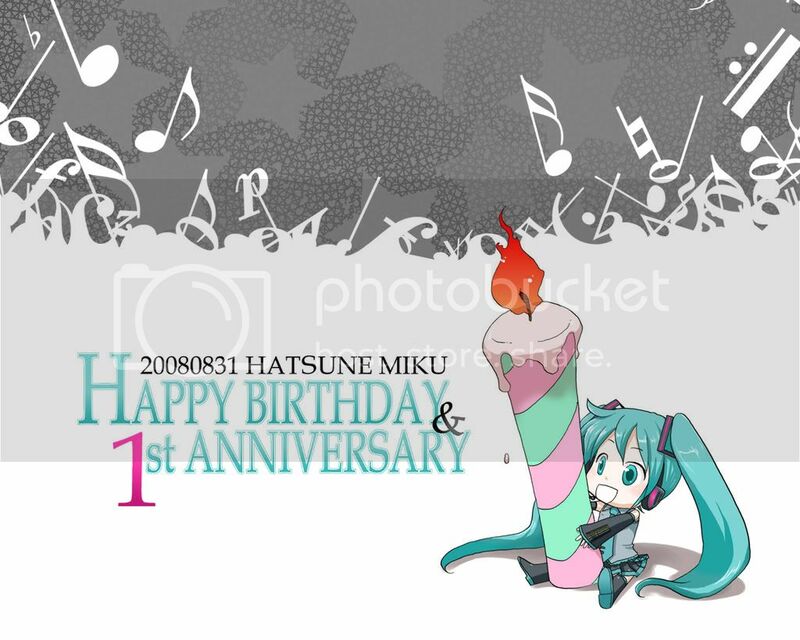 Sounds like a sticky situation with the girl, hope everything turns out for the best ^^ Don't worry about the blog not being updated in a while, you did warn us of extended hiatus, just post when you have time. Dangos!! That's so cool, I've never tried origami yet. 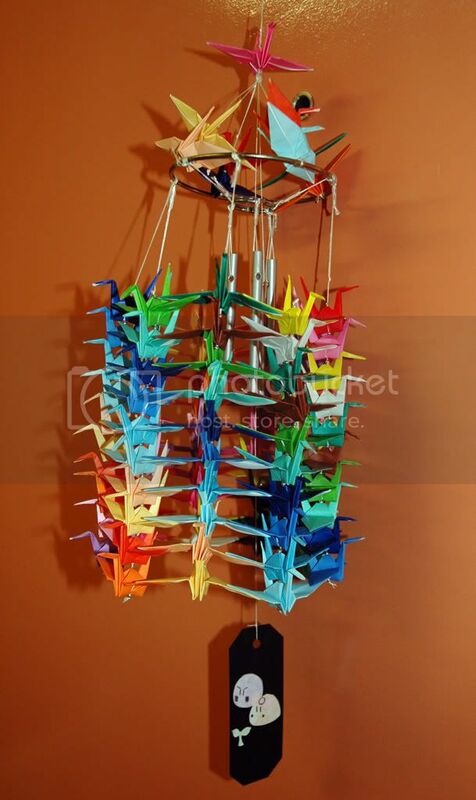 So many paper cranes...really nice!!!!!! Eh. I am not well versed in the matters of relationships, but here's something else to look at. You said she's hanging it over her bed, right? I don't know about her, but I would only hang something above my bed if I liked it. But anyway, don't rush into things. Maybe it was a little early to give her the cranes. It is a very.. nice gift you know ^^; Giving something like that to some one you don't really know well/are not familiar with can be quite... scary for the recipient. Anyway, that's just my thoughts. Remember I am not well versed in relationship matters. this photo is much better! more justice to this work of art!